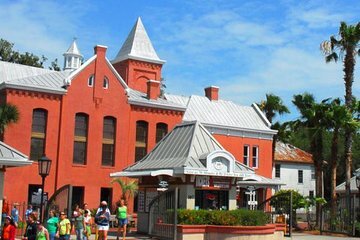 Once a holding site for St. Augustine’s hardest criminals, the Old Jail Museum now offers visitors an educational look at life in the Nation’s Oldest City. Tour a maximum security area and regular cells alike that held prisoners until 1953, learning about fascinating historical accounts of criminal lives in St. Augustine as you go. Tours depart continuously every 20 minutes. 9:00 am with the last tour departing at 4:30 PM. Hours of operation are extended during holiday periods, please call local operator for details.